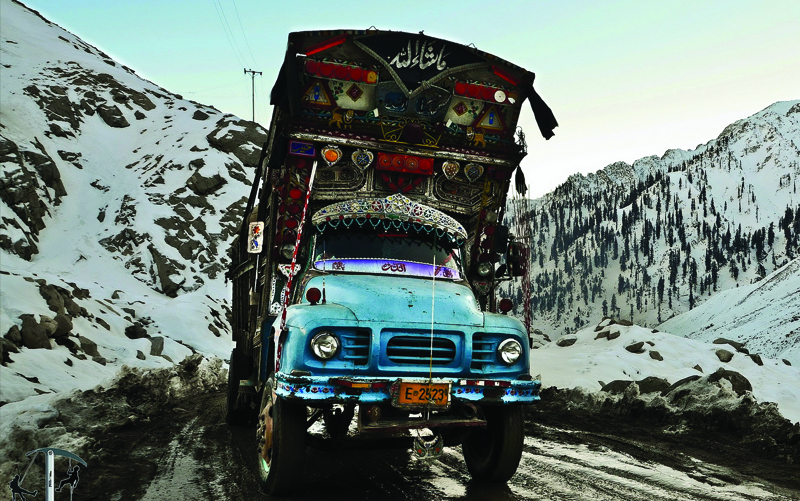 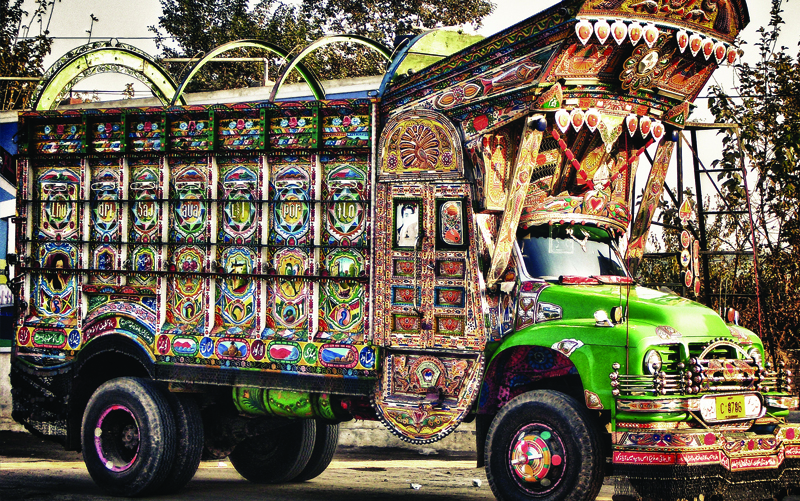 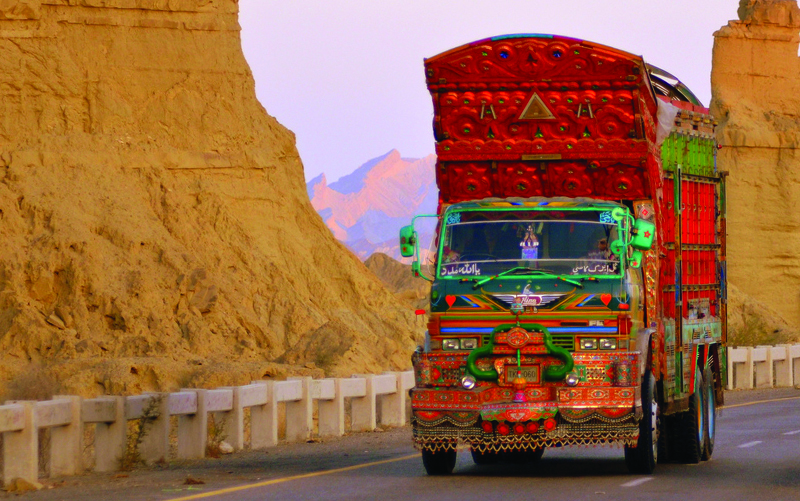 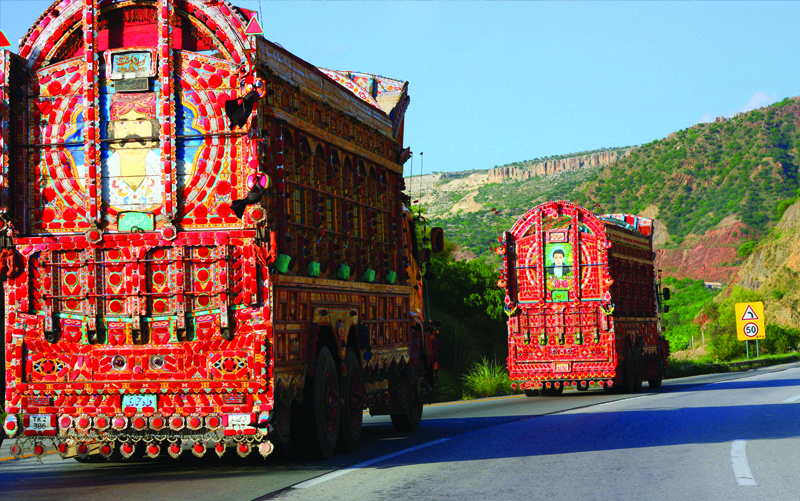 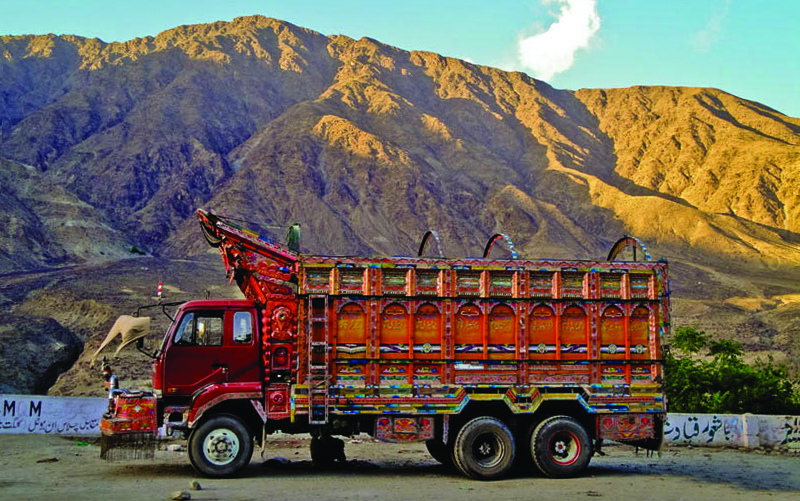 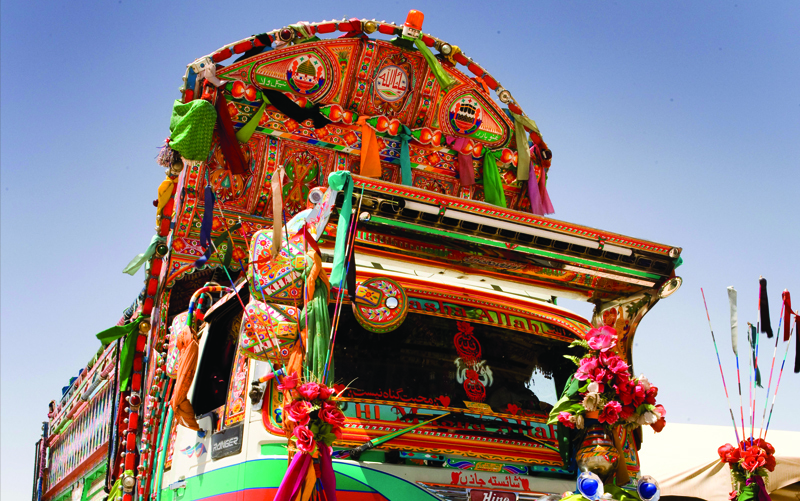 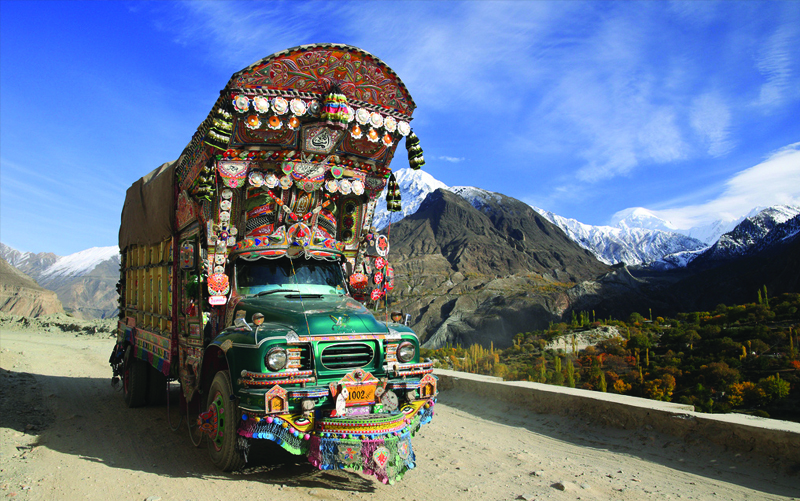 Elaborate designs, kaleidoscopic color schemes and intricate artisan-ship, Truck Art is one of the most culturally celebrated form of art in Pakistan. 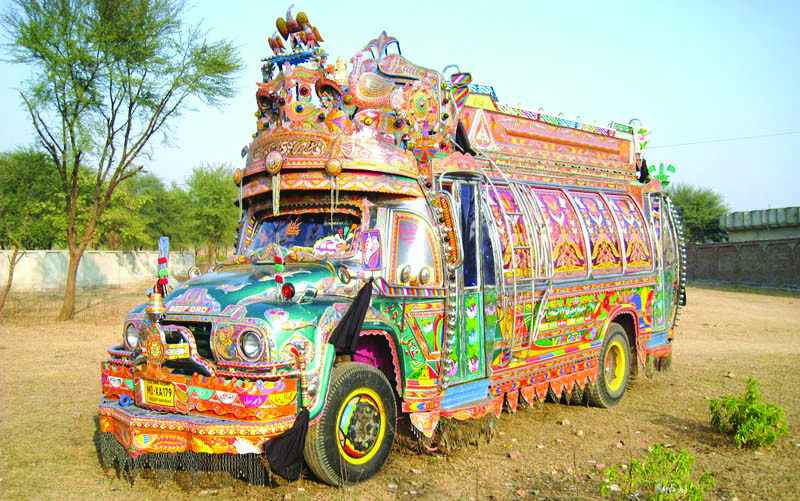 As Pakistanis, we love everything vibrant and loud. 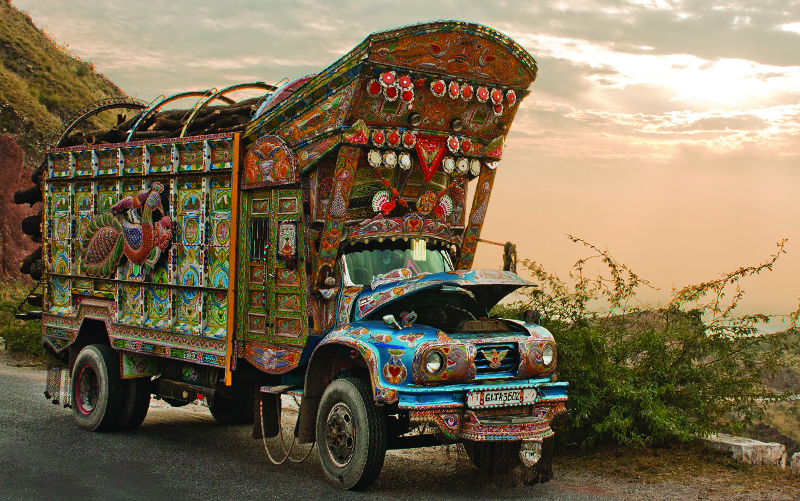 Our truck art represents all that more. 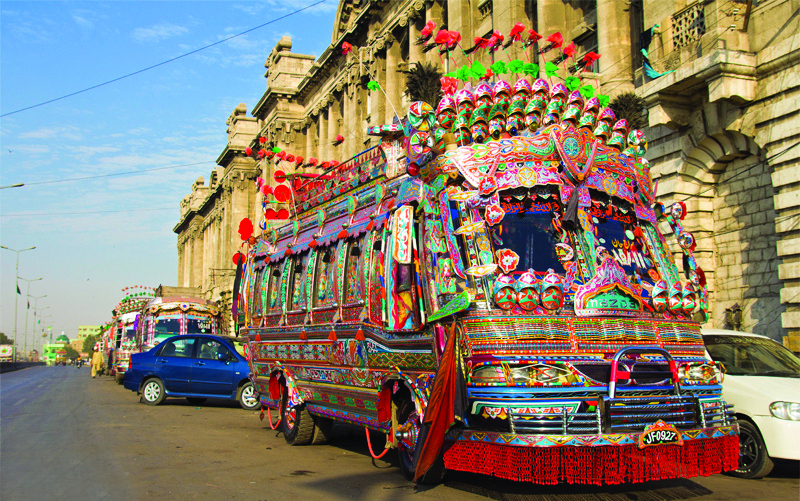 It’s beautiful how chaotic designs and multicolored palettes are integrated to create something so elaborate and so stunning. 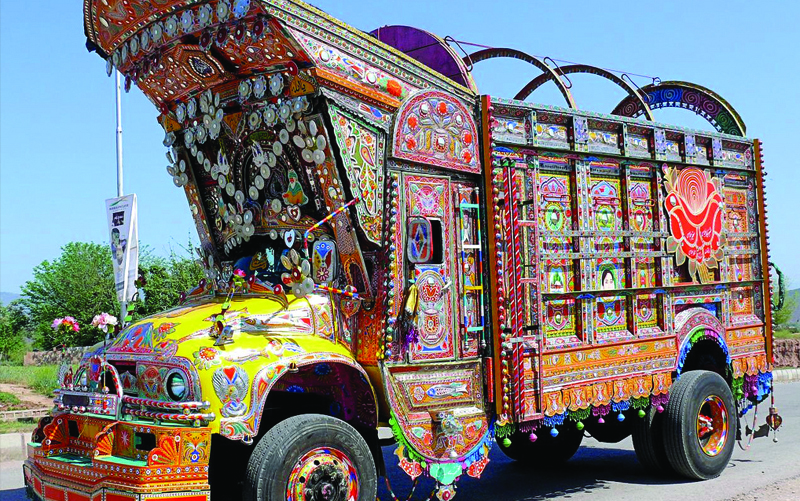 Added to all this beautiful disarray of colors and patterns are the fine hidden details like plastic ornaments, mirror embellishments and crafted woodwork, making truck art all the more exquisite. 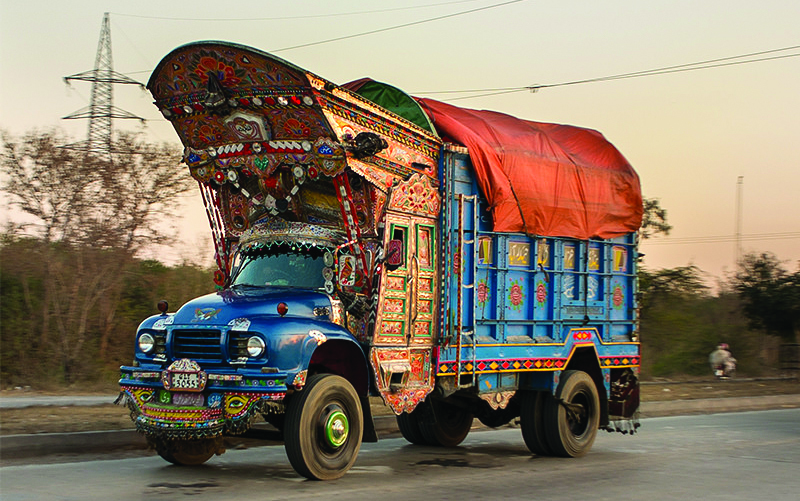 And, finally to give it all a trademark Pakistani touch is the hilarious poetic one-liners, crafted in gorgeous calligraphic writing. 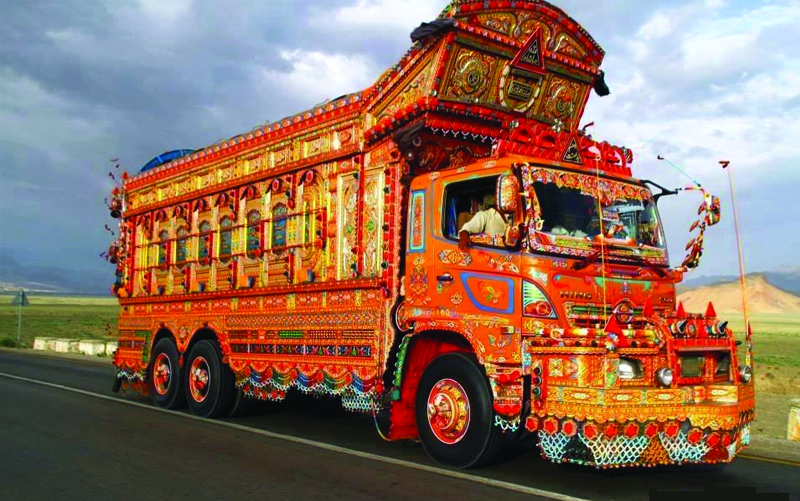 The efforts and skills put into creating each unique truck just goes to show much our truck drivers and their owners take pride in the business. 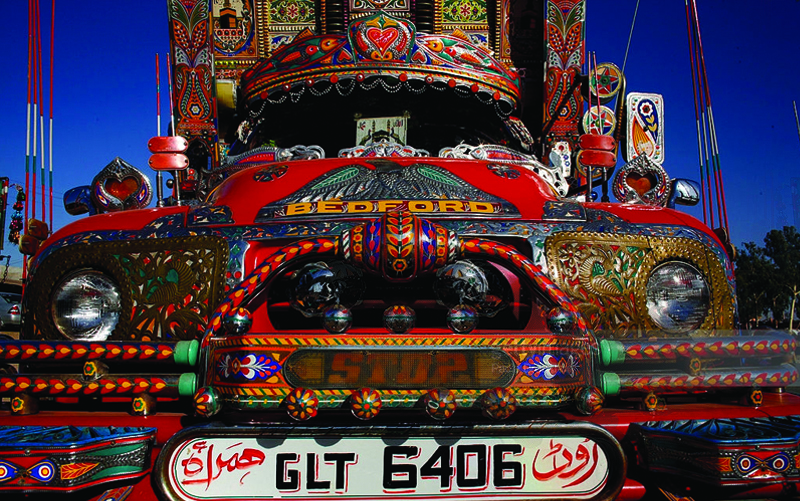 In fact, the concept of truck art started as a way to brand one’s vehicles so that customers could differentiate it from the others. 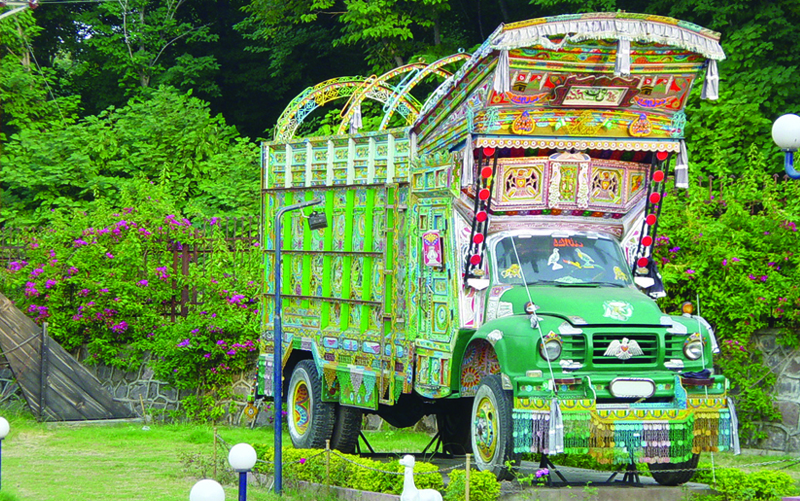 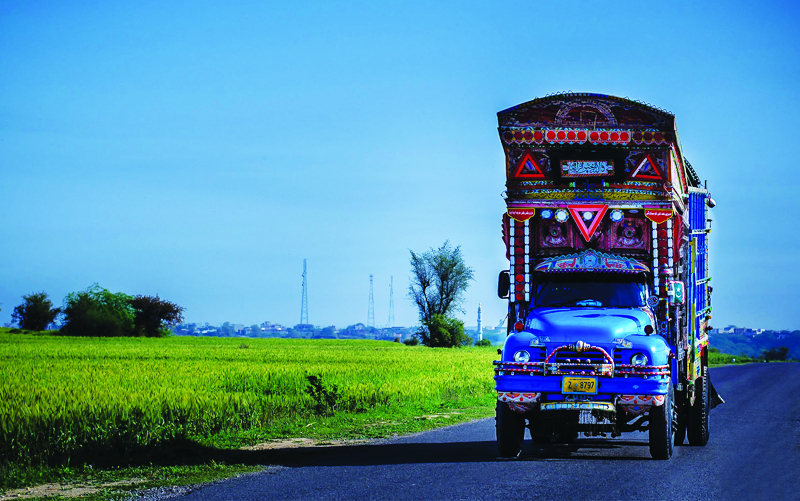 Years and many a beautiful trucks later, the idea turned into a full-fledged trend of decking up a truck at its best and soon turned into a cultural representation of Pakistan.